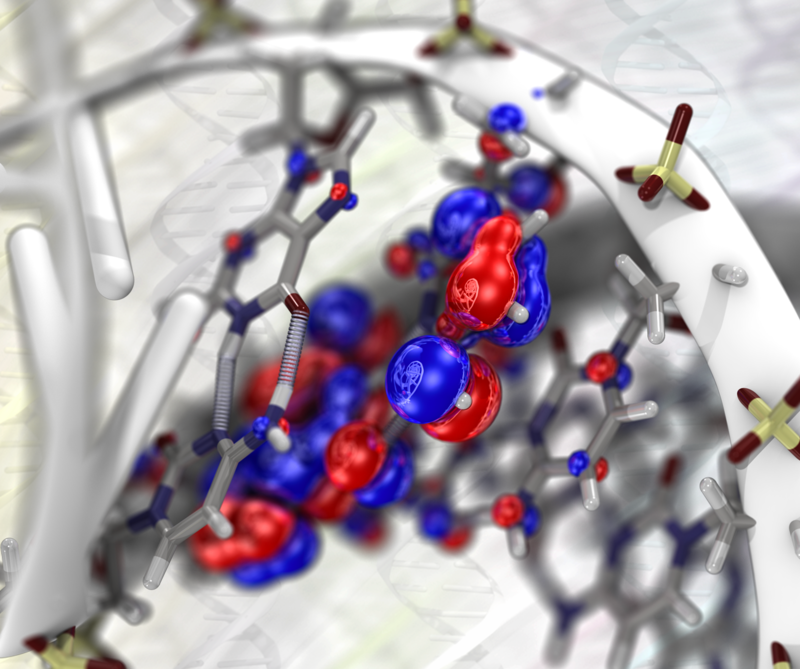 Researchers can simulate atomic and subatomic dynamics in large molecular systems. Here is a visualization of the process by which the amino acid glutamate (Glu) is attached to a specific region of its transfer RNA (tRNA). An energy-rich molecule, ATP, drives this reaction and is converted to AMP in the process. The red and blue bubbles represent the probability of finding electrons in particular regions. Green and white bars delineate the atoms that bond in this chemical reaction.